This beach apartment is on Sunset Beach Betalbatim and is part of a complex having 36 units. There is a Swimming pool in the complex along with a lovely Jacuzzi. The complex is equipped with a Generator & Transformer hence is more or less insured against power failures. The Beach apartment has a living room, bedroom, a well furnished kitchen and a nice patio with a Total area of 886 sq ft. The beach apartment is next to the swimming pool and is Luxurious & equivalent to a Four Star hotel suite. This beach apartment is 7 mins walking distance from the Sunset beach, Betalbatim and is only 5 mins walking distance from the world famous Martins Corner Restaurant which was made famous by Sachin Tendulkar and has been frequented by Indian & International celebrities. The Beach Apartment is only 20 mins drive from Goa International Airport and is 15 mins drive from Margao Town. In the vicinity are three 5 star hotels. The Alila Diwa Resort is 5 minutes drive while the Majorda Beach Resort is 8 minutes drive and the Park Hyatt Resort is only 12 minutes away. The beach apartment is luxuriously furnished and has 2 side tables, Centre table, 29” TV with TV cabinet having satellite television, Dining Table with 4 chairs in the living room and has a 2 Ton Ac to keep you cool. The bedroom of the beach apartment has a Queen Size bed with a comfortable mattress, a 2 door Wardrobe; a dressing table and Side tables and a One ton AC. The modular kitchen in the beach apartment has a Microwave oven, cooking range, Fridge, Tea /Coffee Maker with adequate Crockery & Cutlery The Bathroom has high quality Jaguar fittings with a bath tub and a hot water geyser. These apartments are centrally located about 7 kms from Colva Beach and 3 kms from Margao town, 1 km from SP Chowgule College. One flat is on the ground floor and the other flat is on the first floor. Each flat is 60 sq metres each. These apartments are well suited for the price sensitive customer. 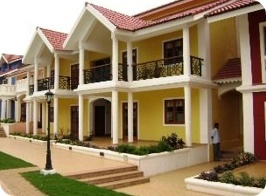 One BHK , Two BHK and 3 BHK flats are apartments available for sale in Goa (Velim). Velim is 25 minute drive from Margao town. These are situated in the quiet peaceful village of Zuem - Velim which is on the other side of the river of the Mobor Beach where the well known Leela Beach Resort is located. All one needs to do is to walk toward the river which is 5 minutes away and there are numerous boatman who will ferry you across to the beach. The boat crossing takes 5 minutes. For the stressed out city person, the tranquility in this village can be really uplifting. The sunset from the top of the Baradi Hill is really inspiring and the trek up the hill is invigorating. The pace of life in this village is fantastically slow and life crawls by on a daily basis. This might require 2 or 3 days to adjust to. Area of the flat is from 76 to 140 sq metres each. 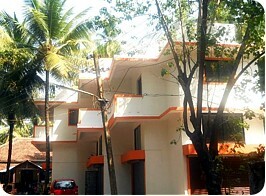 Besides Apartments we also have 13 shops for sale in Goa. We have a Ground Floor road facing shop in Agalli- Fatorda, a Ground Floor road facing shop in Margao ( Opp KTC Bus stand), 6 ground floor road facing shops in Muxer - Velim and 5 shops in Zuem - Velim Area of the shops differ from 26 to 32 sq mtrs and are all double height shops. 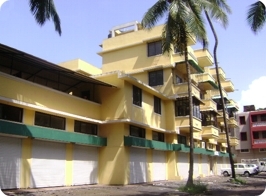 Three BHK Duplex flat available on the first floor in Aquem Alto, Margao. The flat is about 160 sq meters in area. It has an internal staircase along with two terraces of areas 16 sq mts and 34 sq mts. We have 3 apartments for sale 10 mins from Panjim City in a gated complex. Distance from the airport is only 30 mins. 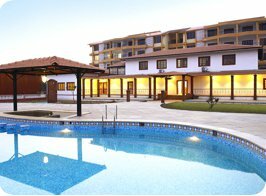 The complex has a huge swimming pool, Gym, Table Tennis room, Carrom Room, Billiards Room and a Spa. Other facilites include 24 hour security with power back up and and onsite ambulance. 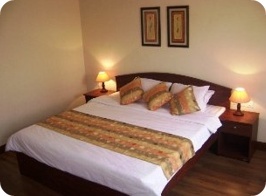 The complex is situated on the river side and is only 5 minutes from Siridao Beach. Proximity to Panjim city and Calangute beach makes this location an ideal holiday home. The One BHK apartments are 68.84 sq mtrs and the 2BHK apartments are 115.5 sq mtrs.